I have been thinking a lot about hair lately. I have the short, pixie hair cut and I love it, but for the wedding I had been contemplating growing my hair out. Let’s face it, there really isn’t a lot out there on how to rock the pixie haircut for your wedding. 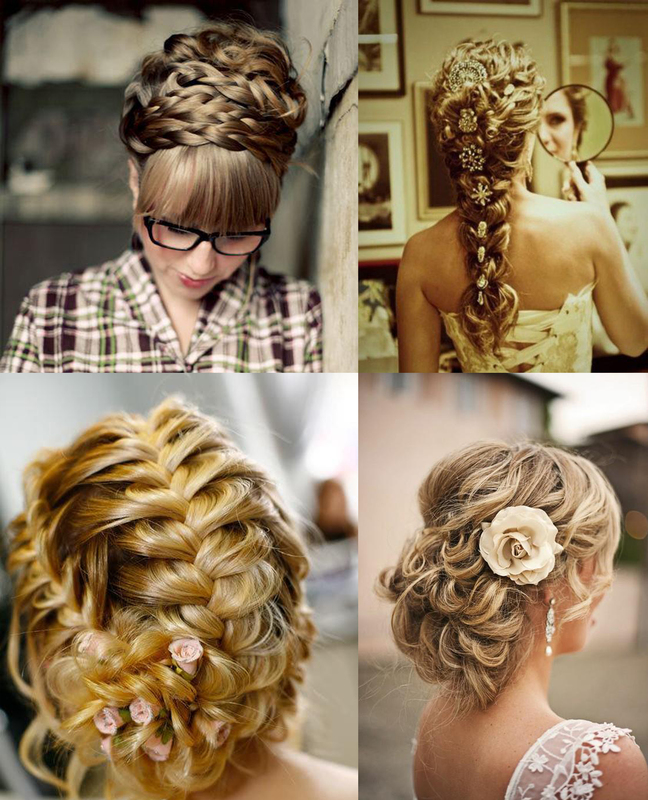 Every other day on Pinterest you see a million and one ways to style long luxurious (usually blonde) wedding hair. And I have to admit, while I LOVE the way my hair is, I have envied some of the gorgeous ways to style long hair for a wedding. I wanted those luscious locks to twist and turn into hair art. When I posited this idea of growing my hair out to the boy he simply said, “When I’ve pictured you coming down the aisle towards me, you’ve always had your short hair.” Well after that, case closed, hair stays short. I didn’t want to ruin the vision, and his opinion matters most to me. I am not disappointed that I’m not growing my hair out, but how does one make a pixie pop? Go searching for the pixie bride, and there isn’t much to find in the way of photos. And as a girl with a pixie cut, I know searching “short hair” DOES NOT help. The world’s idea of “short hair” is shoulder length or just above. I can’t even remember when my hair was that long. The best way I think I’ve found is to get a really killer head band. Some people suggest combs, and a lot of great headpieces are combs, but if your hair is as short as mine, combs won’t stay in all day. The good news about a headband is that it won’t fall off your head, AND it is TOTALLY easy to DIY! Here is my favorite headband that I have found so far, I think I just love the picture in general. 1) Less money! Think about not having to go to a hair appointment the day of your wedding! That can be a hefty expense added to the budget, up-dos are not cheap! 2) Less stress! So many women stress out about their wedding hair. They sometimes even pay for a trial run to be done of their hair before the wedding to make sure it comes out the way they want. And we ladies know that hair is finicky, what it does one day, is not what it will do the next! So think about your wedding day as a pixie bride. You wake up in the morning, hop in the shower, dry your hair (air or blow-dry), put in a little product, and DONE! On a day that can be stressful, it’s always a positive to eliminate small stressors when you can. 3) More focus on YOU! I am a big fan of the minimalist bride, less is more. Soft make-up, simple hair, all makes the focus on your natural beauty. Sure the up-dos are pretty, but the attention shouldn’t be on your hair. If Audrey can do it, SO CAN YOU!!! Lauren I love that headband!! You should definitely rock something like that. Or maybe even a pop of color for after the ceremony? Thanks! My mom is going to use a butterfly hole punch and we’re going to punch out butterflies and DIY a headband. I haven’t yet decided if I’m going to include a birdcage or not. I can’t believe the lack of short hair bride pictures! This post is so cute! Love the idea of a headband. You’ll rock whatever you wear! Thanks! We are going to put paper flowers on it to match my dress I think! I absolutely agree!!! I also have pixie hair and am getting married in October. Short hair (to me) is NOT shoulder length. Thanks so much for this, I love the photos provided. I am not engaged, (yet) but I do have a pixie cut and was debating growing it out for my dream wedding (hopefully soon). But this makes me feel so much better about having a pixie cut, and to rock it! My boyfriend absolutely loves my short hair, so why not keep it that way!! 🙂 Thanks for the inspiration!! No problem! I’m glad you decided to keep it short! Trust me, it’s so much easier and cheaper!